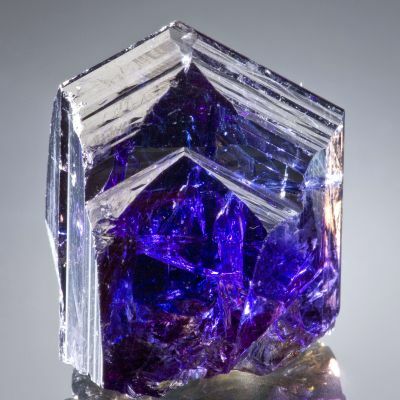 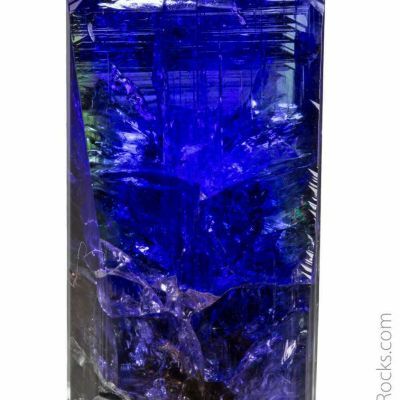 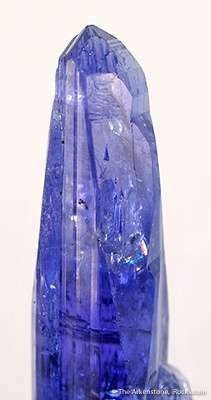 A very showy, very blue, natural tanzanite that shows well the purple and blue dichroism inherent in the species from this locality. 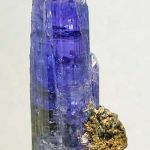 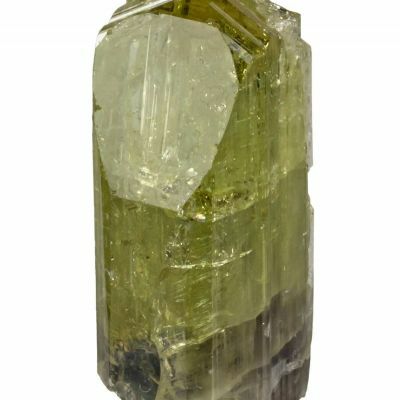 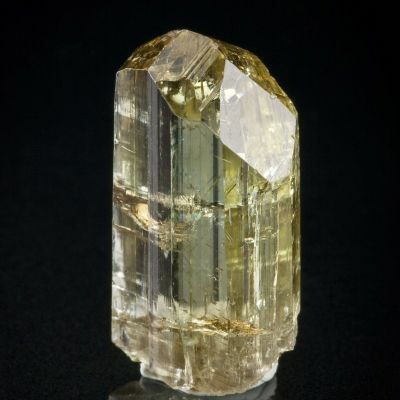 It is either natural in color or lightly heated to enhance the blue hue (a common practice there and considered acceptable by many collectors if price is adjusted accordingly). 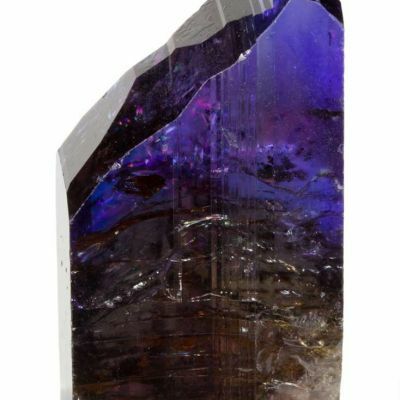 The purple hue is not as intense and is difficult to photograph. 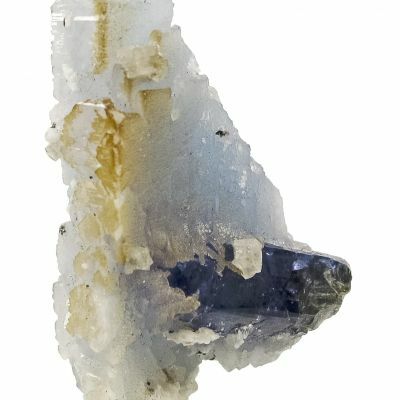 The crystal does have some attached matrix, of graphite. 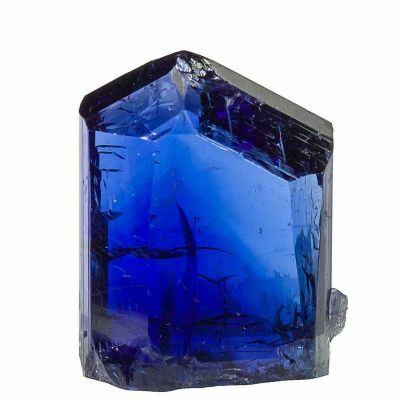 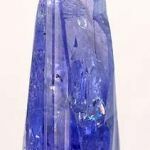 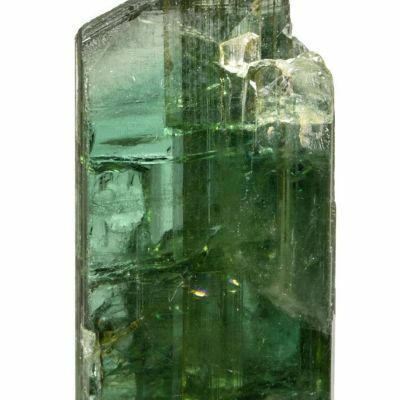 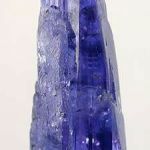 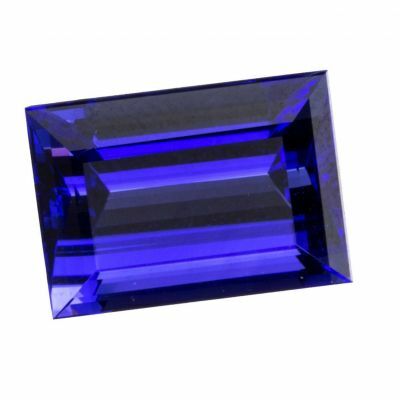 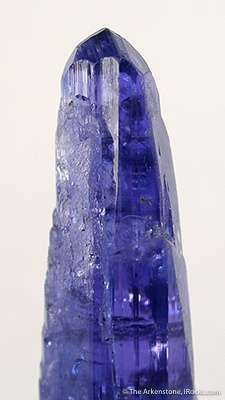 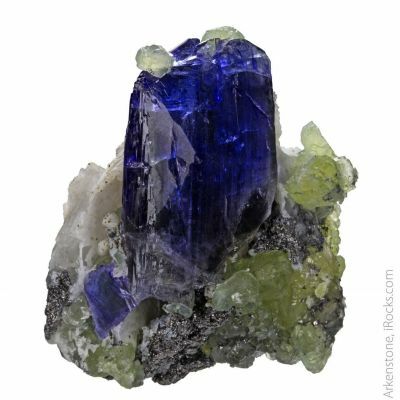 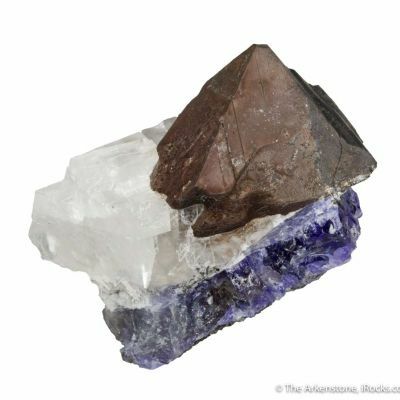 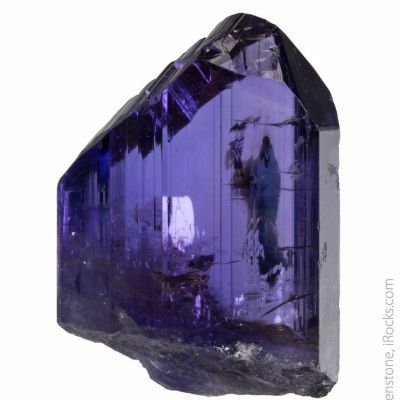 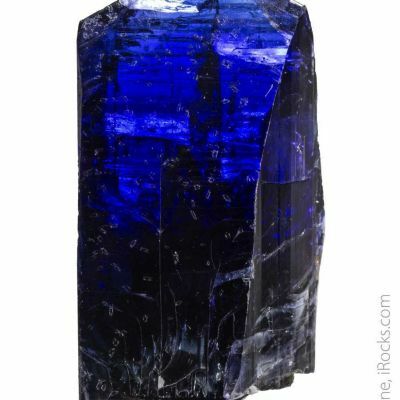 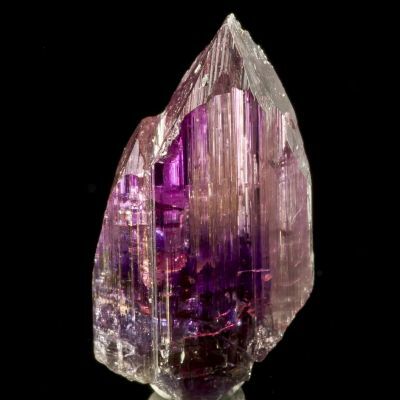 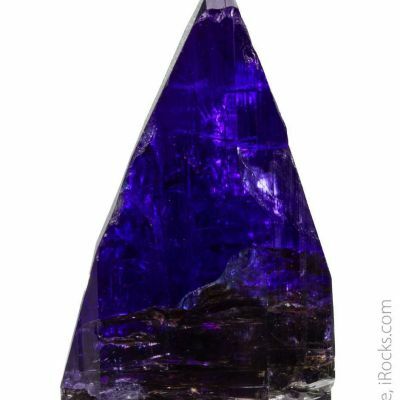 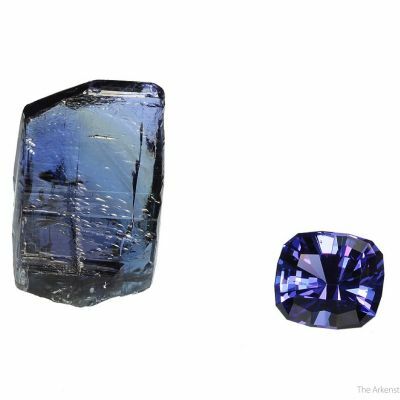 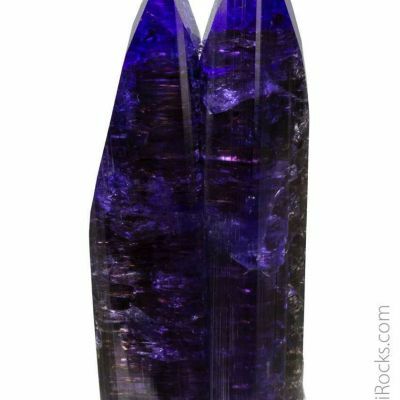 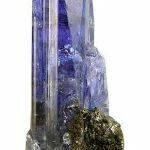 The crystal has a superb, tapered termination, most unusual for tanzanites which tend to end in more blunt chisel-shaped terminations.